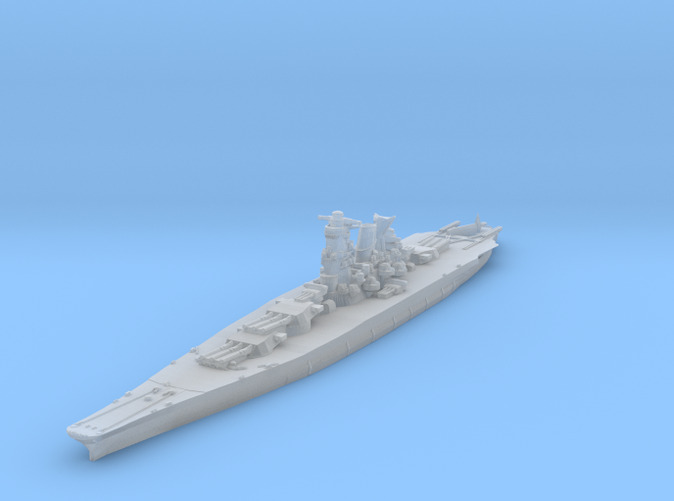 WWII Japanese battleship Musashi (Yamato class) in 1/2500 scale. Modeled as ship appeared in 1942. Approximate dimensions: 105mm long x 16mm wide x 16mm tall. 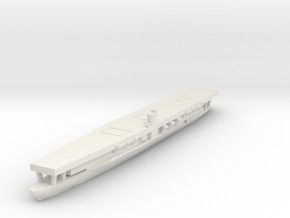 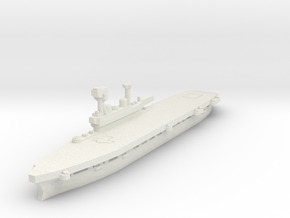 Model is too detailed to print in Versatile Plastic, it will only be offered in Fine Detail Plastic. 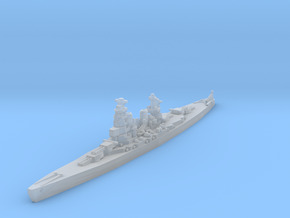 There is another version of this model that represents the Yamato as she appeared in 1945.